For the price of $24,000, White Desert Antarctica, the luxury adventure company hosting the race, will see to each runner’s every need. Are you an adventurous runner? Maybe you have completed marathons all over the country, or even the world. Is your taste for adventure matched only by your healthy bank account? If you’ve answered yes to these questions, and are searching for something even more adventurous than you’ve ever done before, we might have the answer for you. You may be a perfect candidate for the inaugural Race the Jet Marathon, an unofficial but very real 26.2 miles across frozen Antarctica taking place next February. For the price of $24,000, White Desert Antarctica, the luxury adventure company hosting the race, will see to each runner’s every need. The field, limited to 24 participants, will first arrive in Cape Town, South Africa, where White Desert staff preps them for what’s to come. 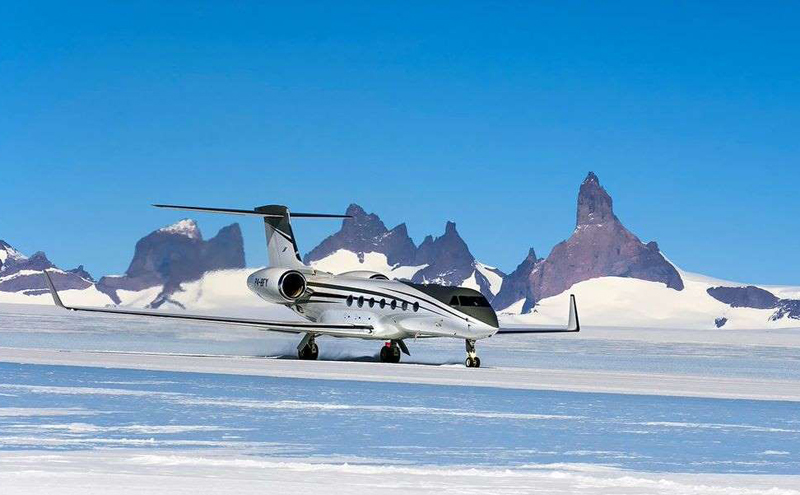 Next, they travel in style in a private Gulfstream 550 luxury jet, reaching Wolf’s Fang, Antarctica in around five hours. Within minutes of landing, the runners are off. Why so quick? The whole conceit of the Race the Jet Marathon is that flight regulations legally limit the Gulfstream’s time on the ground to five hours. That means it’s taking off after that time has gone by, whether you’re on it or not. For that reason, a previous, verified marathon finish under four hours is required to apply. Runners who miss the cutoff aren’t truly stranded, of course. They spend the night in one of White Desert’s luxury residential pods (read: igloo mansions) and share a cargo plane with a load of the camp’s garbage back to South Africa the next day. 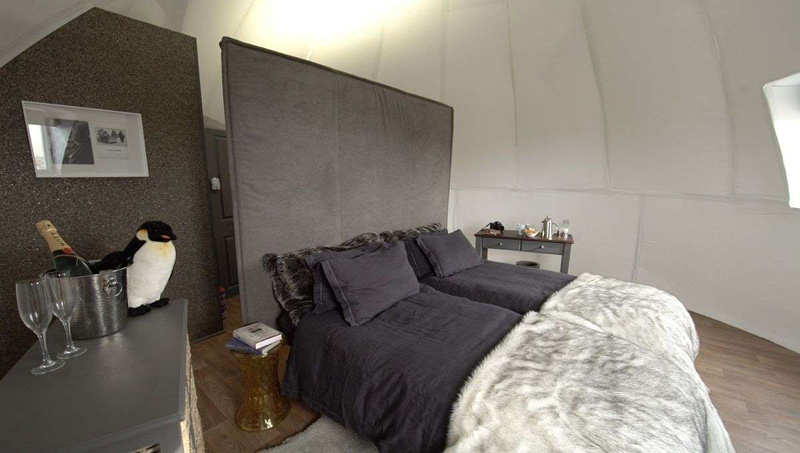 Inside one of White Desert Antarctica’s sleeping pods. White Desert says it’s carefully curating the course, a roughly 6.5 mile loop at 3,700 feet above sea level that passes by towering rock and ice cliffs, so nothing but a top-notch pair of trail shoes are needed. Oh, that and some high-quality extreme winter apparel-White Desert expects temperatures between 10 and 23 degrees, with strong winds a distinct possibility. The company is also operating three aid stations and a fleet of vehicles for emergency support. If White Desert’s setup isn’t your style, but you’re determined to run in Antarctica, another option does exist: The Antarctic Ice Marathon. That one, a part of the World Marathon Challenge, takes place each December, leaves from Chile, and costs a measly $17,000.